The much anticipated Castlevania: Harmony of Despair is now available for download on LIVE for the sum of 1200 American, uh, make that mspts. Konami Digital Entertainment, Inc. today announced Castlevania Harmony of Despair is now available for download through the Xbox Summer of Arcade program exclusively for Xbox LIVE® Arcade for the Xbox 360® video game and entertainment system from Microsoft. 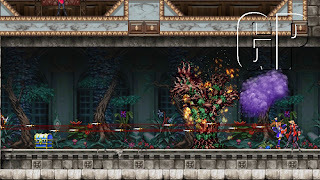 Renowned game designer Koji Igarashi delivers his latest project implementing dot art and high definition graphics ending up with a unique gaming experience that players have never seen before. 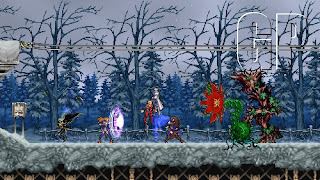 Fans of the famed franchise will finally get to see rich Castlevania 2D graphics in high definition, as well as get the opportunity to play online with up to six people as a new six person multiplayer mode is introduced. 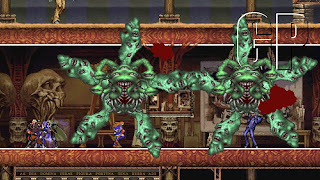 In Castlevania Harmony of Despair, fan-favorite vampire hunters from throughout the series come together in order to return Dracula to his eternal slumber. 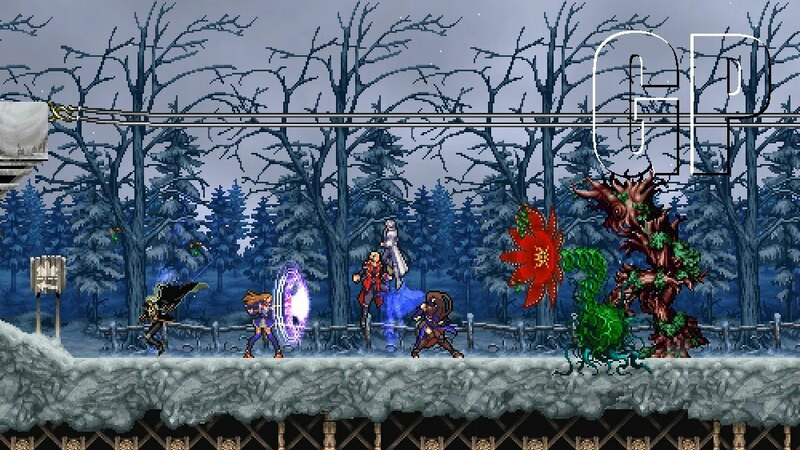 Joining forces with friends on Xbox LIVE, up to six players can explore massive levels inspired by the worlds of Castlevania Dawn of Sorrow, Portrait of Ruin and Order of Ecclesia via online co-op play. As players employ their cooperative skills to unleash devastating attacks and fight the forces of darkness, they can discover hidden locations, special items and equipment to help in their quest. Fearless players can even choose to engage in competitive Survival Mode with friends to determine the best slayer of evil. 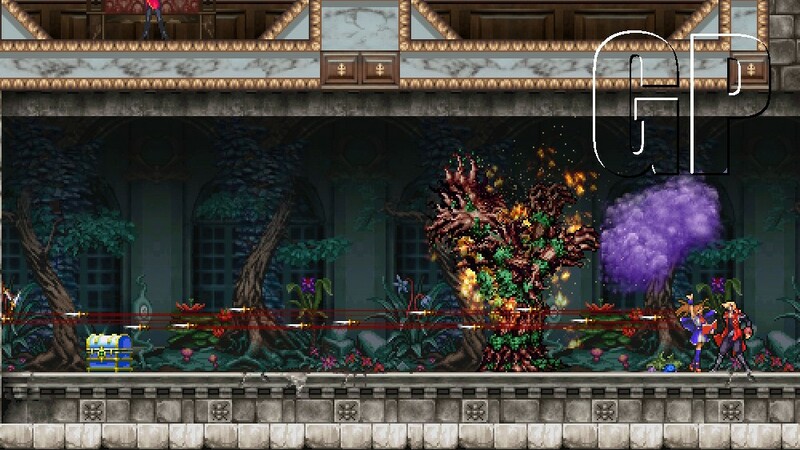 Featuring detailed 2D art and follow-up downloadable content for new characters and levels, Castlevania Harmony of Despair will provide players with a thrilling, next generation gaming experience coupled with the classic Castlevania aesthetic. 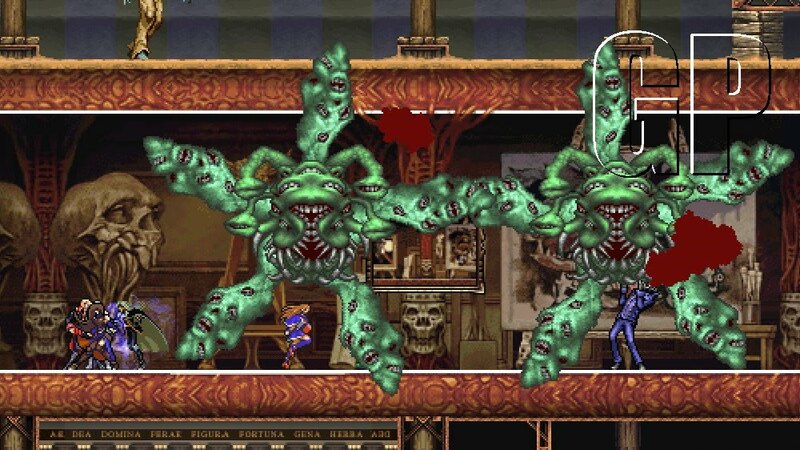 Castlevania Harmony of Despair is now available exclusively for Xbox LIVE Arcade for Xbox 360 for 1200 Microsoft Points. Make sure to look out for downloadable content available immediately as well as new characters and maps coming soon following the release. For more information, please visitwww.konami.com/downloads.